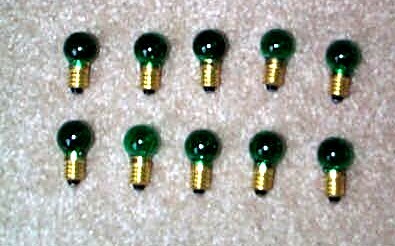 Red Switch Control Glass (432RA) New Lot Of 10 - $7.50 : Olson Hobbies, Welcome To The Train Page! 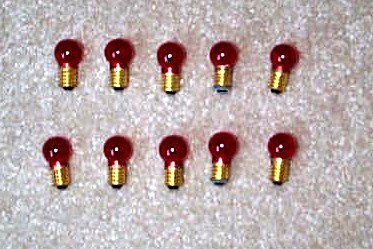 New replacement #432 clear red unpainted lamps (made in China), screw base.These are approximately 8/16 inch in diameter, smaller in size than the standard 432RP Painted I also have. These come 10 in a lot. Will pack individually in small envelopes for shipping and protection. Mostly used for Lionel and American Flyer switch controllers and accessories. 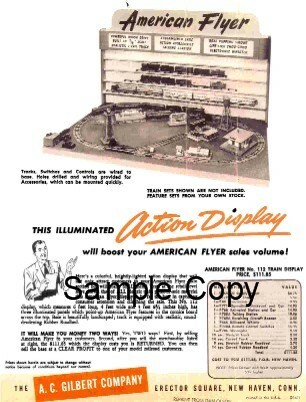 1957 American Flyer Figure 5 X 9 Action Display (D2011). 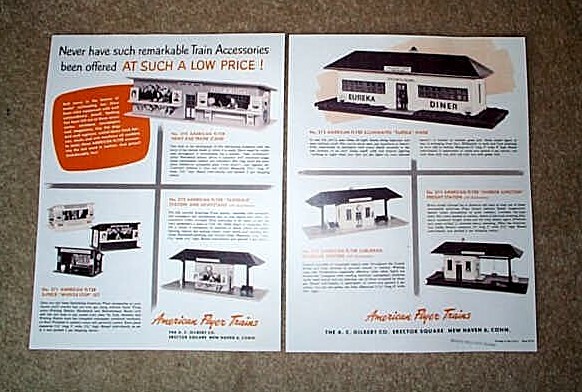 1952 American Flyer Accessories Promo Sheet (D1670). 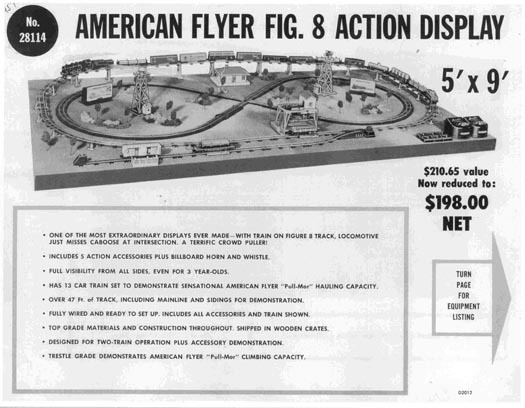 1957 American Flyer Figure 8 Action Display (D2012). 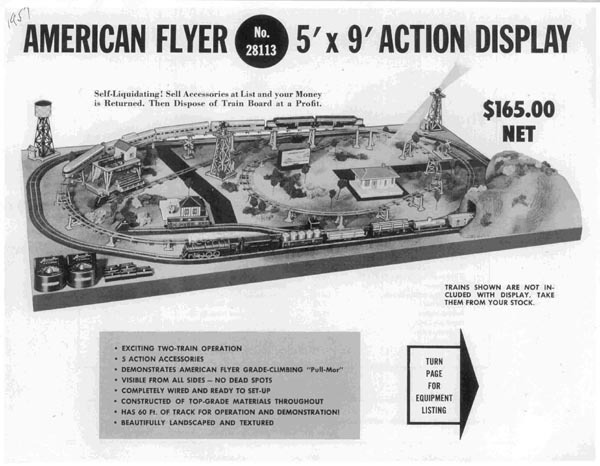 1952 American Flyer Train Action Display (D1671).